When it comes to discovering New Zealand, a well-planned itinerary can significantly improve your experience. This country offers so many road trip opportunities that will help you fall in love with the great outdoors. A big country with a sparse population, the breathtaking views remain unspoilt, so almost anywhere you turn in New Zealand, you will encounter the raw beauty of rugged mountains, active volcanoes, deserted beaches and freezing glaciers. 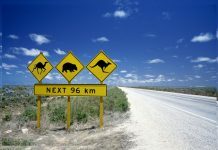 If you are planning a driving holiday, here are some all-time favourite routes both on the south and north islands that make for an epic New Zealand road trip. This route is ideal for soaking up the beauty of the North Island. Start at the Hobbiton movie set from Lord of the Rings, making your way to the Thermal Highway, where you can discover a wide range of geothermal delights, including the volcanic crater of Lake Taupo and the bubbling geysers of Rotorua. The bubbling mud pools and thermal lakes give off a pungent sulphur smell, so you might want to pack a peg for your nose! This scenic route runs through the wine regions of Martinborough, offering the best views of the North Island, before ending in Wellington, where you can really absorb the vibrant atmosphere. November to December is an ideal time to embark on this trip, due to cool temperatures and smaller crowds of tourists prior to the busy Christmas season. The Auckland – Wellington route takes about 12 days to complete, though we recommend adding a few extra days to relax by the lake and enjoy the stunning views along the way. This road trip is very much suited to couples, individuals looking to get away from the city and families that prefer a beautiful beach for a day of relaxing. No skydiving or wine tasting, this route simply offers lovely views of nature to enjoy alone or with your loved ones. Coromandel doesn’t offer much by way of ‘adventure’ activities, whilst locals keep a low-key presence. Driving from Thames to Coromandel offers endless views of rolling hills, sandy beaches and lovely coastlines. 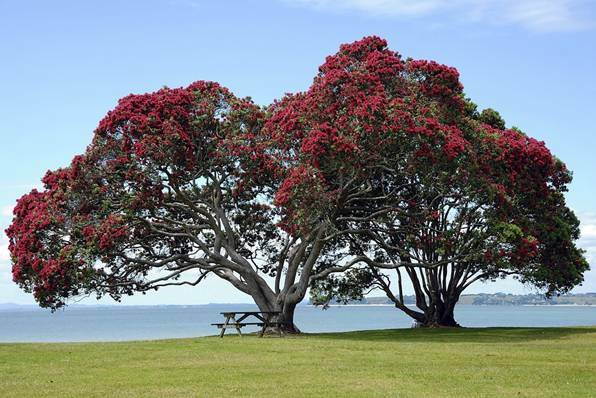 Tourists visiting New Zealand in December are able to witness the lovely red hues of the Pohutukawas tree in full bloom. If it’s a slow-paced exploration of the North Island you’re looking for, this is the ultimate road trip. This route can be enjoyed any time of the year, because even in the coldest months of July and August when the South Island is covered in snow, the North is still pleasantly balmy. Furthermore, because the route is a fairly short distance drive, you can really explore each destination. Catch sight of frolicking dolphins in the Bay of Islands and relax on the long Omapere beaches, before heading south towards the Waiheke Island vineyards. This route is ideal when you don’t have a lot of time to spend on the road. This short journey offers the perfect option to explore the South Island in a short amount of time. 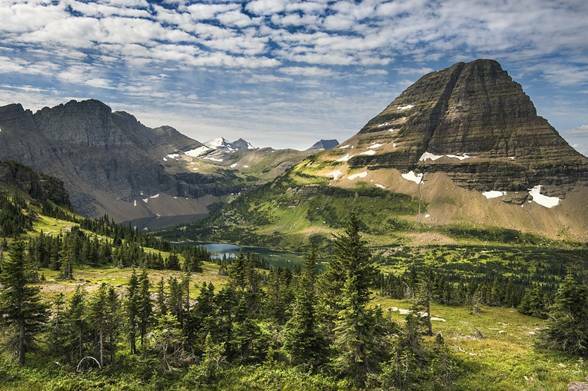 From lush rainforests to incredibly pristine mountain lakes, this is one route not to miss. Start at the seaside town of Greymouth and head south along the rugged coastline. This World Heritage region offers majestic views of the Fox and Franz Josef glaciers. The trail ends at Queenstown, the adventure capital of the world. If you love adventure and excitement, Queenstown is definitely for you. Just remember to purchase adequate travel insurance before your trip to enjoy adrenaline-pumping activities like skydiving, white-water rafting and bungee jumping, without any worries. Check out State NZ Insurance for a range of policies to suit. All things considered, the best time to visit is between March and May, when the temperatures are slightly warmer than in spring, and the people less in number. If you love wine, then this one is for you. Learn all about New Zealand wine production and enjoy the beautiful scenery, with a few sips on this classic wine trail road trip. A 10 day tour allows ample time to visit three of the most popular wine making destinations in the country: Blenheim, Martinborough and Marlborough. Starting at Napier, head south to Martinborough, where you can taste the renowned Pinot Noir from a range of wineries. 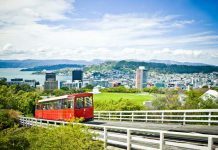 Stop for a couple of nights to sample some of the excellent local restaurants, before heading to Wellington, where you can soak up the vibrancy of this colourful capital city. Hop on a ferry to the South Island and keep driving until you reach the Blenheim wine region, where you can treat your palate to a drop of the local Sauvignon Blanc. From here, your trip will take you to the Marlborough region, where 75% of New Zealand’s wine production takes place. 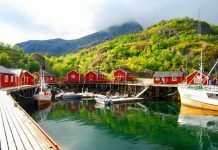 This route offers lovers of coastal scenery an endless visual treat of stunning seaside sunsets, great beaches and rugged rock formations created by the ocean. 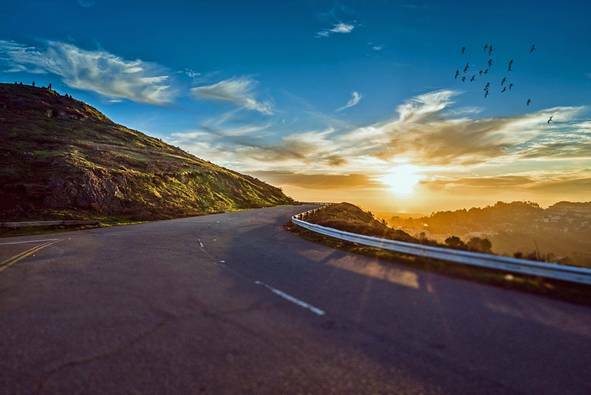 This route -otherwise known as the Great Coast Road – will take you off the beaten track when you want to get away from it all. However, remember to fill up on fuel and have enough cash to hand, as you won’t be seeing fuel stations or ATMs for a while. Enjoy a view of the Tasman Sea on your right, and the snowy Southern Alps to your left. Also, check out the Pancake Rocks and stop to hike the majestic Franz Josef Glacier for an unforgettable experience. A road trip is generally the easiest way for tourists to see the glorious sights of New Zealand. There are plenty of buses if you prefer, but driving certainly lets you explore at your own pace. Also, you can get to the lesser known destinations and discover unspoilt delights that the main tourist throng tend to overlook. Editor’s Note: This article developed in partnership with a trusted travel service partner.